Treasures and Books Store in Permas Jaya. This photo is taken as you exit McDonald's. The Treasure Store has a new name and new location. 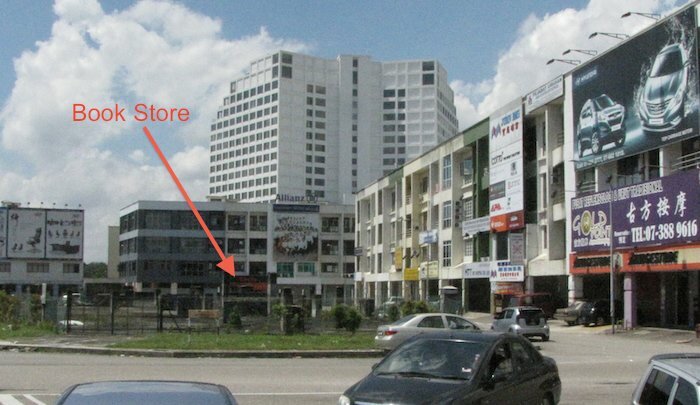 The store has moved to Permas Jaya (where the Straits View Condos are) from the Danga City Mall in Johor Bahrus’ CBD. The new Treasures and Books Store is strait ahead as you step out of the McDonald’s. It is on the same block as the Time Hotel. It is a great book store for anyone interested in English language books in Johor Bahru (they also have Chinese language books). Books cost quite a bit in Malaysia and Singapore. I am not exactly sure why. I would imagine maybe due to tariffs of some kind, and maybe low demand. 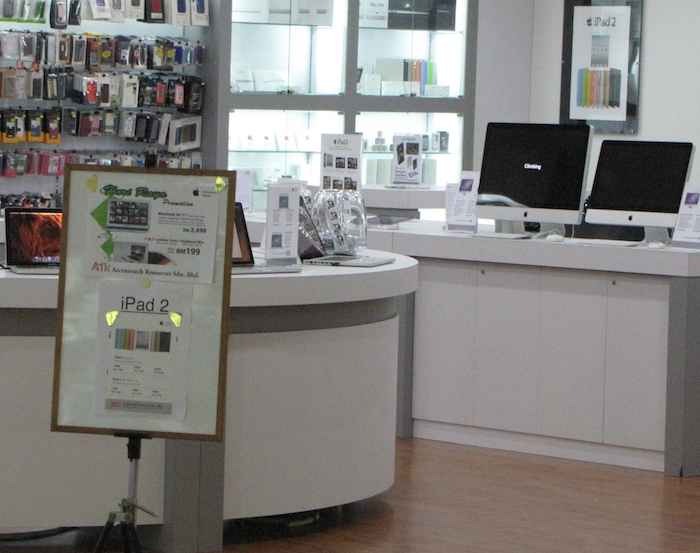 Though the book stores seem busier than the average stores in malls, not just for browsing but for purchases. There are very few used books stores (that I have seen) which is odd (since the high new book prices should stimulate the used book market. 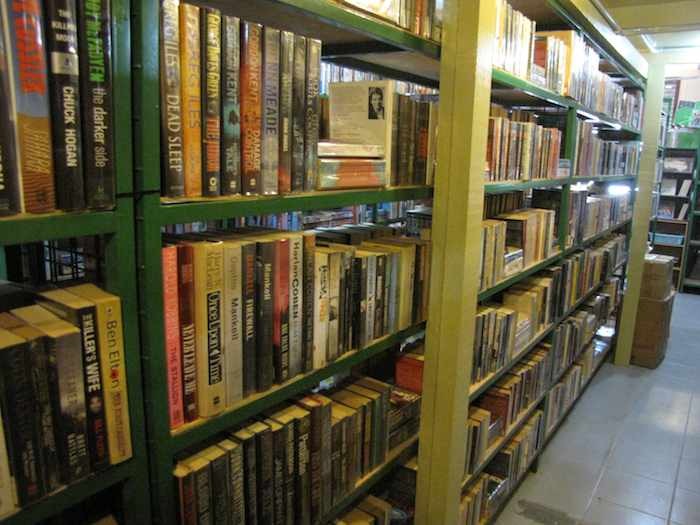 The Treasures and Books Store has a great selection of “beach reading” (light, enjoyable, escapism) and also offers many used books (which saves money). And you can return books and they will buy them back (for a bit less) so if you read quite a bit you can save a lot over buying new books and just stacking them up in your room. 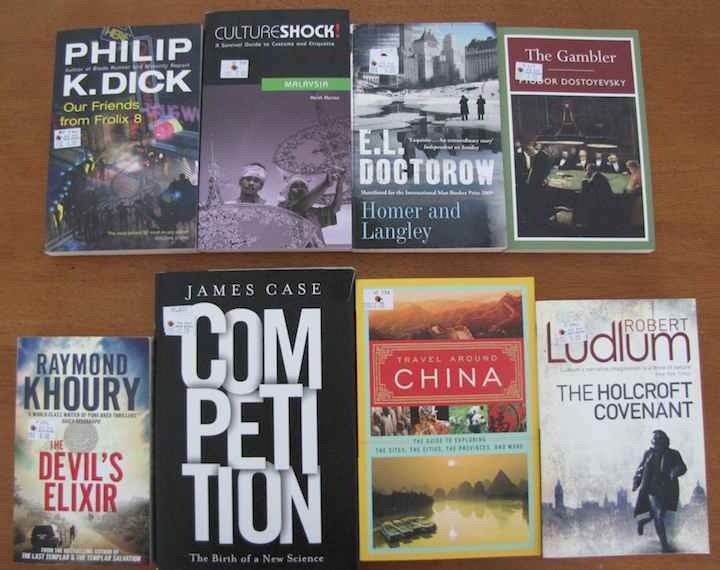 The store has lots of books by authors such as: John Grishham, J. K. Rowling, Jefrey Archer, Robert Ludlum, Tess Gerritsen, James Paterson, Robert Harris, Sue Grafton, Michael Crichton, Douglas Preston, Stieg Larsson, Richard North Paterson. Taking the bus from Johor Bahru, Malaysia to Singapore is easy once you know what to do. First go to the Custom and Immigration Quarantine Complex (CIQ) in downtown Johor Bahru right near the causeway to Singapore. Walk through the complex to leave Malaysia (you need your passport, obviously). Once you clear Malaysian passport control you follow the signs to Singapore/Woodlands for the bus (on your left after you leave the passport area). You go downstairs and catch your bus. You pay for the bus, on the bus. Lines for bus to Singapore at Malaysia CIQ. On the signs (and the ground) they list what buses the queues are for. Queen Street (this gets you to downtown Singapore). You can take the CW2 (direct) of the 160 (many stops – so really you probably don’t want to chose this unless you want to get off before queen street). The Queen street stop lets you off right near Little India. Cost is under RM 4 (update 2014 – with increases in tolls the busses hiked fares by under 1 RM, they are a much better value now, since car and taxi tolls increases so much). 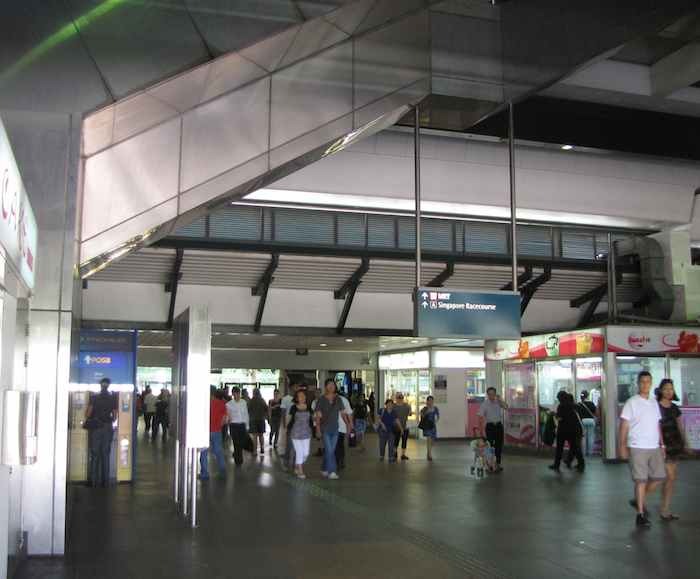 MRT – if you want to go to the Singapore MRT you can take the 170 or CW1 to Kranji station. Woodlands is the closest station but there isn’t a bus to there (that I know of). Cost is under RM 3 (after 2014 increase). Airport – the airport bus takes you directly to the Changi Airport in Singapore and costs RM 7 (from Singapore to JB it costs SGD 7 – I am not sure of the prices after the 2014 increase). The bus is a small bus (seats about 20 maximum) – asking people where it is, will be the easiest way to find it. This bus only runs once an hour. This bus works great but you should be aware if you get stuck in customs trying to get into Singapore it is possible the bus will leave without you. If that happens catch the 170 to Kranji and take the MRT to the airport. I think the bus will wait 20 minutes for people to clear customs (and if several of you are not back yet the bus may wait, but missing it is something to consider). Kranji MRT in Singapore. There is a bakery right where the bus lets you off. 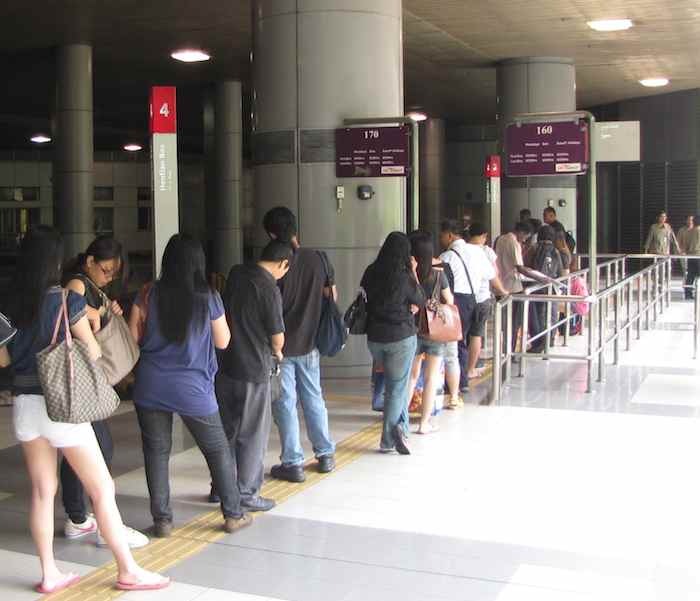 To catch the bus back to Customs you have to cross over the road so you are on the opposite side from the MRT. 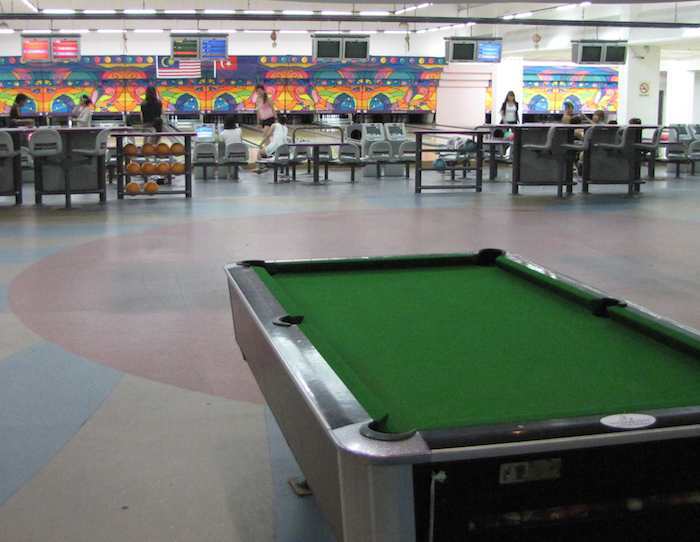 The busses will take you across the causeway to Singapore and then you will disembark (with any luggage and belongings) and go through Singapore customs and then go back downstairs and catch your bus. The CW1, CW2, 170 and 160 run frequently during the day and evening (every few minutes to every 15 minutes for some). Overall it is an easy process and doesn’t take too long. But at rush hours (especially Friday night or on holidays) it can get very busy and backed up. I hear the morning rush from JB into Singapore is pretty bad, but I have gone a bit later (9:30 AM) when I have gone, and it has been fine (most of the time). The prices are from Singapore to JB are the same number but in SGD which means about 2.5 times as much money. 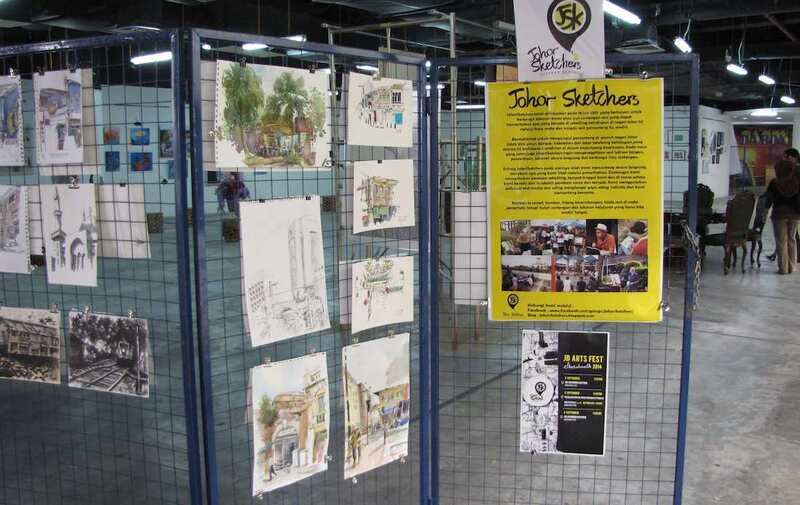 So, for example, from Queen Street to JB is $3.30 (versus 3.30 RM). 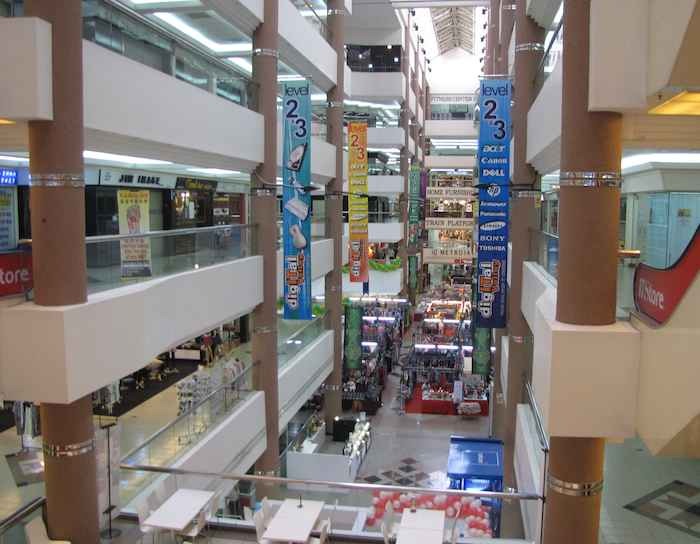 Plaza Pelangi is one of 5 fairly large malls in downtown Johor Bahru. The others are Danga City Mall, KSL Mall, City Square Mall (right next to CIQ) and Holiday Plaza Mall. 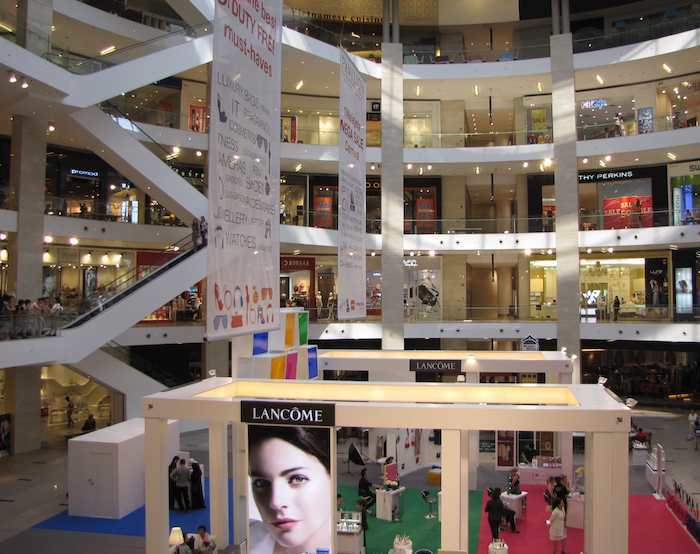 I would put Danga City Mall, KSL Mall and City Square Mall in the top tier and Plaza Pelangi and Holiday Mall in the 2nd tier. KSL Mall and City Square Mall I am pretty sure do much more business than the others do. 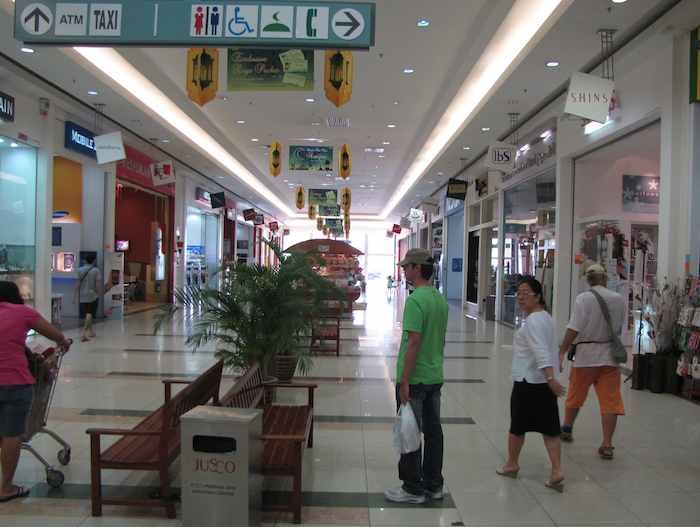 I like Danga City Mall, but it has some sparse areas on the upper floors. Plaza Pelangi is a bit smaller and seems less active, than other malls. 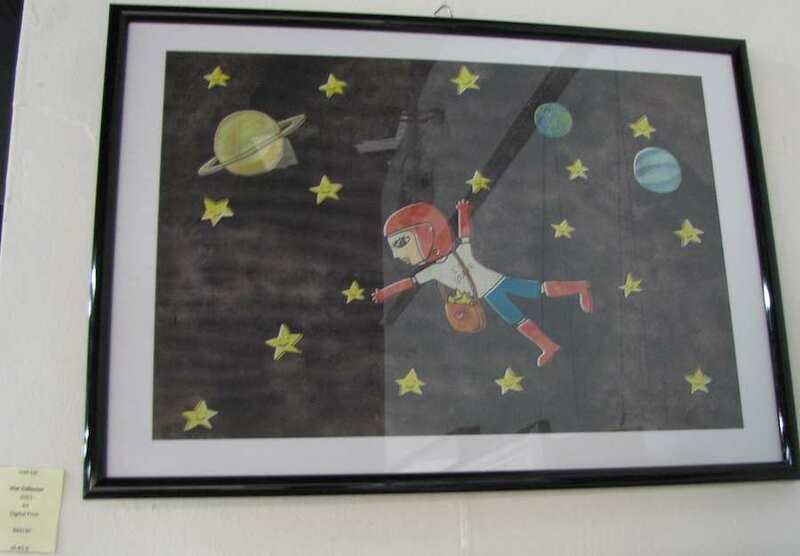 There is a Cold Storage on the ground level, which is convenient for groceries, but they are expensive compared to alternatives (Tesco and Jusco). 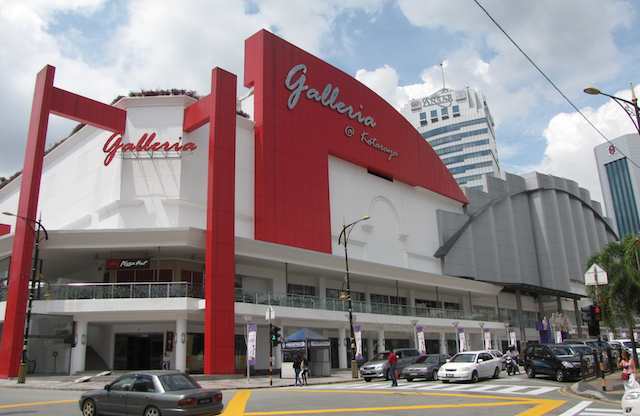 Some of the other tenants include: a large MetroJaya, Redbox and Popular Books. 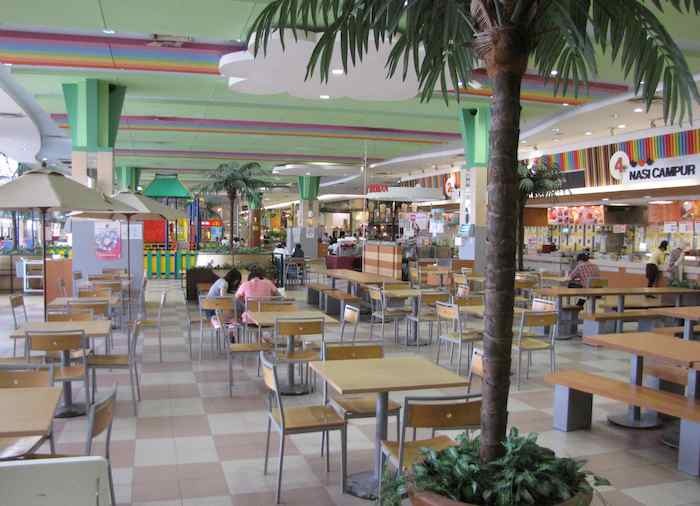 The mall has several restaurants including: Sushi King, Coffee Bean, Secret Recipe, Nando’s, Stonegrill and McDonald’s. It has a nice bakery. There are quite a few beauty salons (as there are in all the malls). 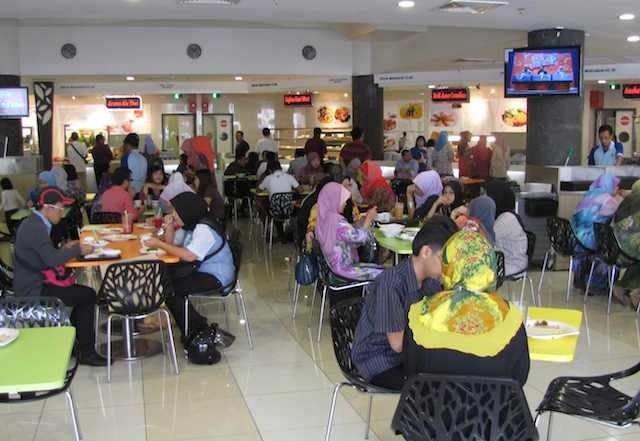 Perhaps the biggest advantage of Plaza Pelangi is all the good food nearby. Within a few blocks you have many good restaurants including: Chez Papa, E and Y’s, Rosmarino’s and Warakuya Japanese Restaurant. Also, when cab driver’s don’t know how to get to those restaurants you can tell them to go to Plaza Pelangi (which so far all have known how to do). The taxi stand at the mall has also always had cabs, which has not been the case at many other taxi stands around JB (for me anyway).